Wednesday, July. 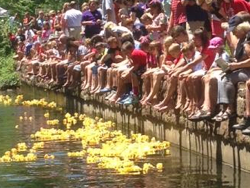 4, 2018 | 1:00 p.m.
We want to thank everyone who supported the 2018 Rubber Duck Race. This year's derby raised over $2,000 for the Wyomissing Public Library! Congratulations to our winners! 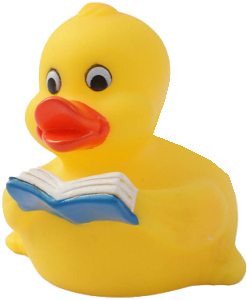 First place: Duck #73, Pamela W. Second place: Duck #824, Amy K.
Many thanks to our fundraiser sponsor, The Water Guy!